This entry was posted on 09/02/2015, 9:34 and is filed under Uncategorized. You can follow any responses to this entry through RSS 2.0. You can skip to the end and leave a response. Pinging is currently not allowed. the world is so full of them. They always choose the utter obedience of the slave to its owner . Bought for some shiny shekels and ready to destroy their own people when there will be such a need. Article 1, Section 8, 15th clause states that militia’s duty to uphold the laws of the Union. Clause 16 states that Congress can organize all aspects of the militia to serve the United States of America. 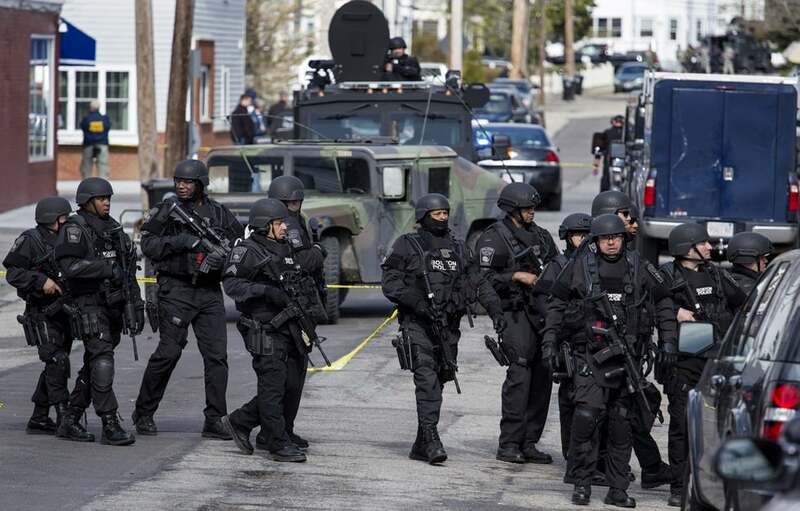 Why is Congress creating such a behemoth of armed forces operating inside the United States? ( Washington’s District of Columbia; George Washington worked for the King since the U.S. was now in deep debt from the Revolutionary War, which funded both sides. This funding came from the Bank of England & the King of England). The U.S. Constitution gave authority to DC to collect from it’s citizens, all debts. These debts (payable to the Bank of England / the King) were then transferred to each of the States (actually they are Districts), and from there these debts were transferred to the citizens. See: The Shetars Effect On English Law. ( The Talmud is The Law of The Land ). Also see – Uniform Commercial Code, which is International Law also dealing with international credits & debts. Gold anybody? Anybody wish to run to gold, or even an International currency? Good luck with that, but it is coming. The U.S. Constitution is a private contract between the King / Bank of England, and the United States. It is private. One cannot run to the Constitution to seek remedy. Why? You are not party to it. However, you are held liable to all debts…always have been. How many times do Americans celebrate the 4th of July and fireworks without realizing the festival being celebrated is actually their own servitude?? And thru the IMF, this indebtedness has been accomplished on a Global scale. You, no corporation, and no government body can trade without being a signatory to the Uniform Commercial Code. Your goods will be seized dockside. Why was the US dollar shipped around the World all these decades. One thing is it helped to keep inflation down in the US. Another reason it brought nearly every country on Earth into the fold and being wrapped around the axle. They are tied to Washington DC, which is tied to the powers of the King (which is the City of London today). Even China has to negotiate with the IMF to seek approval, and it is the IMF that gives or doesn’t give the nod of approval to China. As of late, the IMF has told China they will have to wait before they can be included in the family of SDR’s. Even marriage is a civil contract. It involves the two parties and the government. If one wants a divorce, then the contract must be dissolved….by the government. And the government has complete control of your children until 18 years of age; otherwise legally known as minors. This is very evident during divorce proceeding tat involve minors. They are in custody of the government. Everybody is tenants, and not only tenants….you are tenants with massive debts, and the time is very close where all will be forced to pay their indebtedness. Its global, just as the ‘Global War On Terror’ is global. Everybody, every nation was maneuvered into position to be party to the repayment of the global debt. This is the octopus.